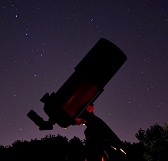 ← TIME FOR THE LEONIDS METEOR SHOWER……SORT OF. NASA JPL RELEASES FULL MOSAIC OF SATURN FROM THE DAY THE EARTH SMILED. Photo Credit: NASA, JPL and Cassini: CLICK the photo for large version and see below for all related links including where to download in different sizes. We all remember “The Day the Earth Smiled” and subsequent photos of the Earth and Moon from the orbiting Cassini spacecraft this past summer right? Well here’s the incredible full mosaic that we’ve all been waiting for in amazing detail hope you enjoy it and if interested read the full story in the links below. This photo includes Earth, Moon, Mars, Venus and many of Saturn’s major Moons. Image | This entry was posted in Astronomical Events, Astronomy (Learning), Astrophotography (DSOs), Images, News, Solar System, Spaceflight Companies & Vehicles and tagged Astronomy, Astrophotography, Cassini, Earth, JPL, Mars, Moon, NASA, Saturn, Science, Solar System, Space, Venus. Bookmark the permalink.